In its base form, the Q3 comes with leather upholstery, a panoramic sunroof, a rear view camera, front and rear parking sensors, and heated front seats. These are all optional extras on the Q3’s chief competitors, the Mercedes-Benz GLA 250 and the BMW X1. Combine the superb value with Audi’s traditionally excellent interior materials and a comfortable ride quality and you’ve got a small luxury crossover SUV that’s tough to ignore. The all-new 2018 Audi Q3 is available at Pfaff Audi Vaughan, and we encourage you to come into our dealership and check it out today! Read on for more information about the 2018 Audi Q3. Roads can be unpredictable. Luckily, the Audi Q3 is available with our legendary quattro all-wheel drive system. By sending power to the wheels with the most grip, quattro helps maximize available traction to improve handling performance. And when roads get slippery, quattro all-wheel drive can help get a grip on the situation. The Audi Q3 is the crossover SUV that can adapt to almost any environment. Its innovative materials, smart engineering and sophisticated design are ready for virtually anything the road brings its way. With a turbocharged 200-hp 2.0-liter TFSI engine and a six-speed Tiptronic automatic transmission for sport control, the Audi Q3 can navigate city streets with ease. You don’t have to go it alone when you surround yourself with genius. 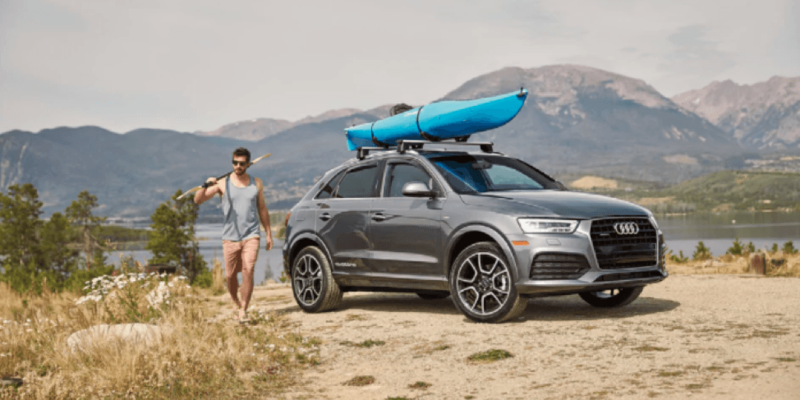 The 2018 Audi Q3 features some of the latest innovations so when you’re on the go, your passengers can get connected. The available MMI navigation plus system provides available Audi connect, enabling Google Earth with 3D satellite imagery, a Wifi hotspot for up to eight passenger devices, local traffic and weather, flight information, news and more. The available Audi side assist system uses radar sensors and optical warnings to help alert you if a vehicle is in your blind spot. The Bose Surround Sound System provides an impressive 465 watts and a 10-channel amplifier, this available 14-speaker premium audio system provides outstanding power and clarity. You can’t expect a whole lot of utility from a class that distinguishes itself by its super compact dimensions. Still, the cargo area will easily accommodate four duffel bags, and the LATCH anchors and tethers are easy to reach. 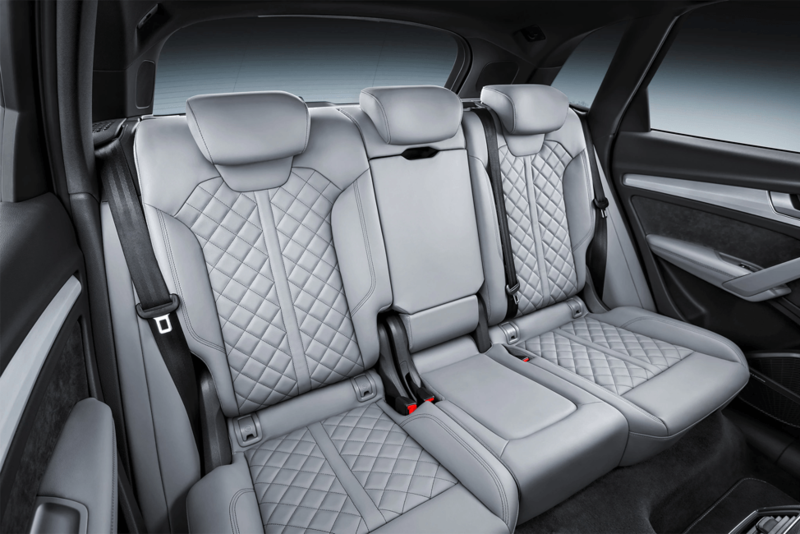 Luggage capacity behind the rear seats is 16.7 cubic feet, which expands to 48.2 cubes with the rear seats folded. This is more than enough space for a premium level SUV. For child safety seats, there are two LATCH anchors on each of the outboard seating positions. They are easily accessed by lifting their removable plastic coverings. There are two tethers on the backside of each outboard seat. For a seat in the center, you’ll attach to the metal hook located just behind the headrest. For more information about the all-new 2018 Audi Q3 at Pfaff Audi Vaughan, please feel free to continue browsing through our website. Click here to find our contact information and to fill out our contact form.